Storing liquid foods can be messy sometimes as chances are that they may get easily spilled over. 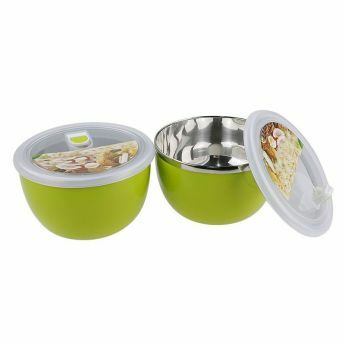 Hence, it better to look for bowls that come with a safety lid. 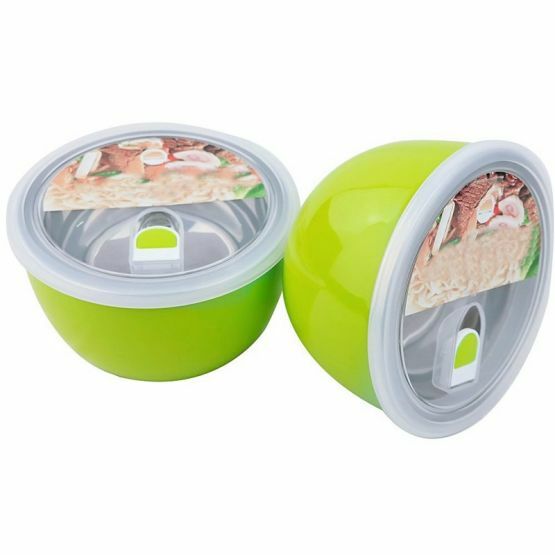 The set of 2 green bowls is an excellent food storage containers that are definitely needed for each and every kitchen. These stainless bowls are made using some top-grade stainless steel that helps you store all kinds of food items and leftover foods in your kitchen. Each bowl comes with a maximum capacity of 210 grams and also features a lid that ensures that the items stored inside the food keeper stay intact. These stylish designer bowls are perfect to carry with your snacks, fruits and any other food items for your weekend trips, camping and fishing trips or even to your school and offices. 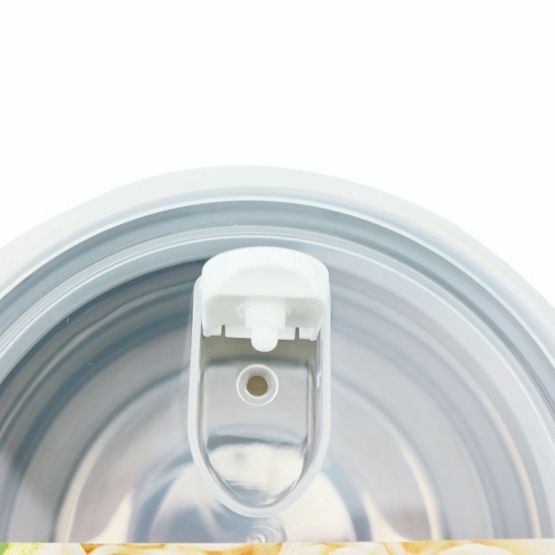 There is also a tiny opening on top the lid that ensures to fill the container easily without opening the entire lid. It also helps to quickly pour out quickly from the steel bowl if you are in hurry. These stainless steel bowls are made using high-quality materials and last for a long time and are certified by FDA, SGS and CE/EU. 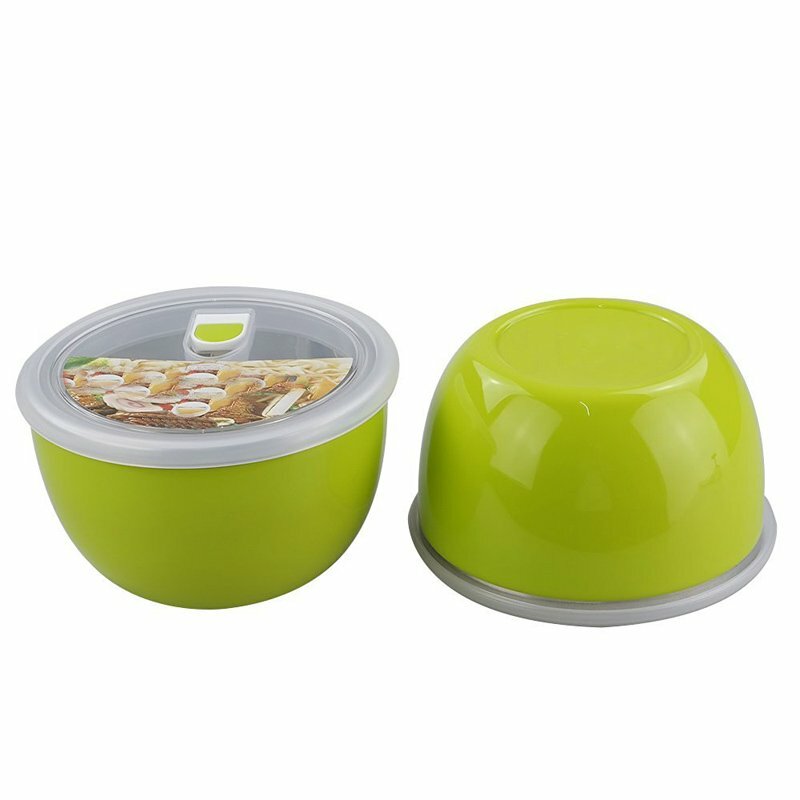 The stainless steel bowls are corrosion resistant, stain resistant and also resistant to heat damages as well. 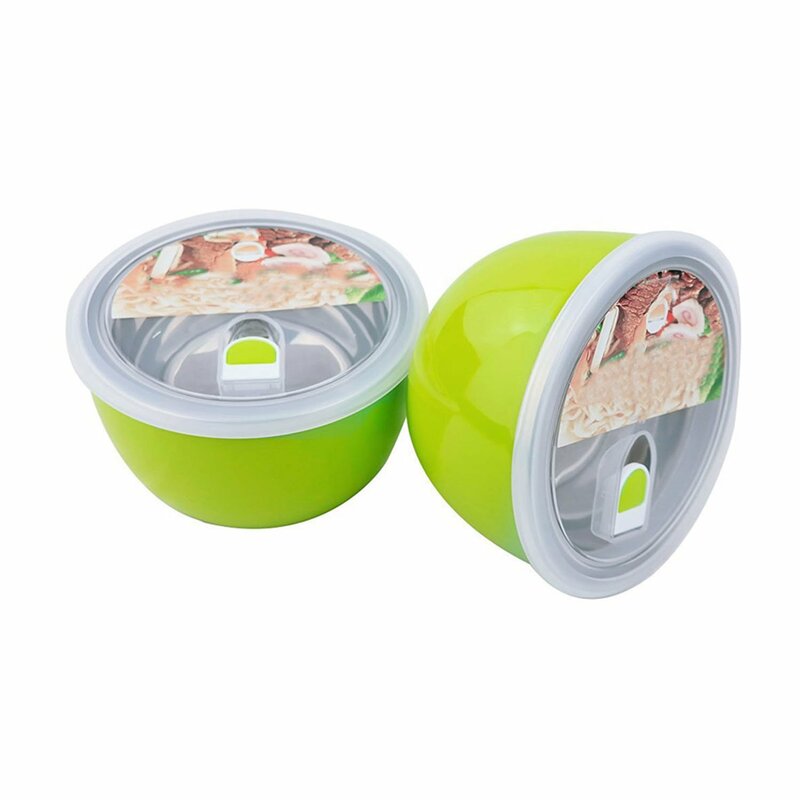 With a watertight locking technology, the food stays fresh, crisp and retains the original taste for a long time. The lid is also transparent that allows you to see the contents inside the bowl quickly. 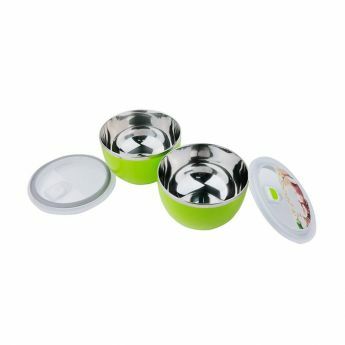 The steel bowls can be used for many purposes including mixing, storing and prepping.